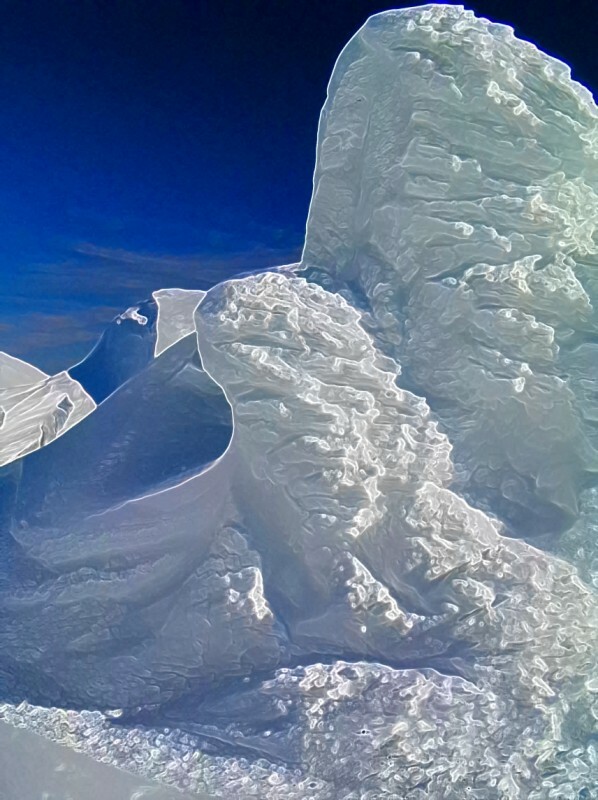 Taken on a mountaintop; winds had sculpted this 3m high feature of rimed snow on a rock. I liked the shapes it formed, and played with various filters on the computer to (hopefully) enhance the composition. Now that is a very cool effect! I am glad to see you are still posting photos with your Olympus. My switch just died for the second time in two years.